The best selling commercial mat, the Apache Rib™, combines good performance with great economy. 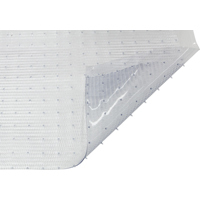 • Popular rib construction traps dirt and moisture in recessed channels away from shoe level. • Polypropylene needlepunch carpet is stain and fade resistant. 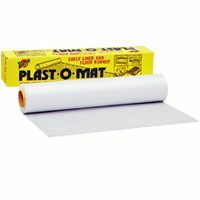 • Slip resistant vinyl backing. 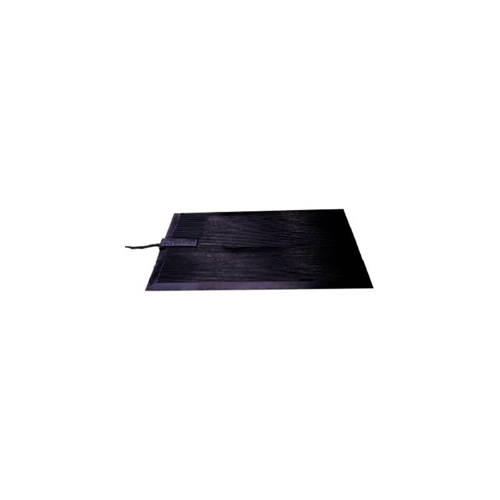 Low-wattage, very safe, rubberized floor mat heated for your comfort. 20.5" x 13.75" x .25"
21-260-0900-30000606 Size: 3' x 6'6" x 3/8" Features: -1/4" is ideal for casual use and 3/8" is ideal for daily use.-Made of PVC vinyl foam.-Ideal for use with: Elliptical Machines, Bowflex Machines, Steppers, Treadmills, Stationary Bikes, Dumbbells, Free Weights and Aerobics!. Specifications: -This mat comes with 4 Beveled (sealed) borders. Same as the Plush tuff, but made with bolder solid-color yarns. Top selling Olefin carpet offers outstanding absorption and durability. • Thick and plush Olefin yarn construction dries quickly and is easy to clean. • Fade and stain resistant. • Broad selection of colors. 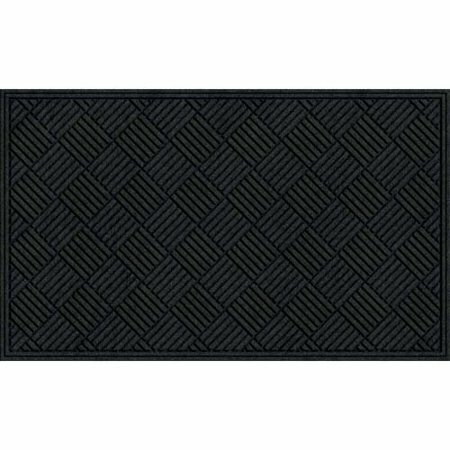 A Grand entrance mat with fashion appeal, the Prestige™ offers style and striking performance. • Multi-level olefin construction effectively removes and traps dirt and moisture. • Two-tone heavyweight loop carpet maintains a clean appearance even after extended use. • Comes in 5 new fashion colors. • 100% Olefin fibers are stain and fade resistant. 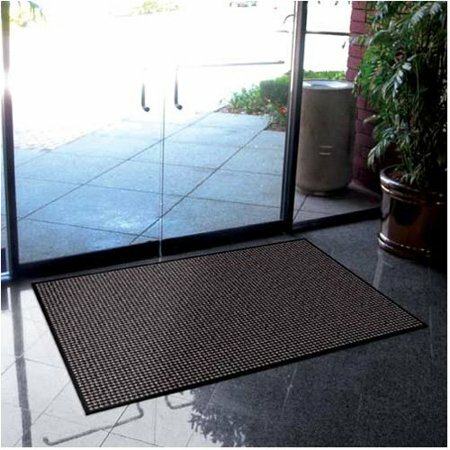 • Ideal for indoor entrances, lobbies or hallways. 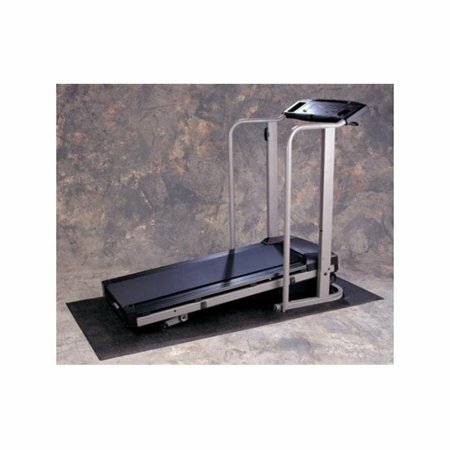 21-250-0900-30000606 Size: 3' x 6'6" x 1/4" Features: -1/4" is ideal for casual use and 3/8" is ideal for daily use.-Made of PVC vinyl foam.-Ideal for use with: Elliptical Machines, Bowflex Machines, Steppers, Treadmills, Stationary Bikes, Dumbbells, Free Weights and Aerobics!. Specifications: -This mat comes with 4 Beveled (sealed) borders. 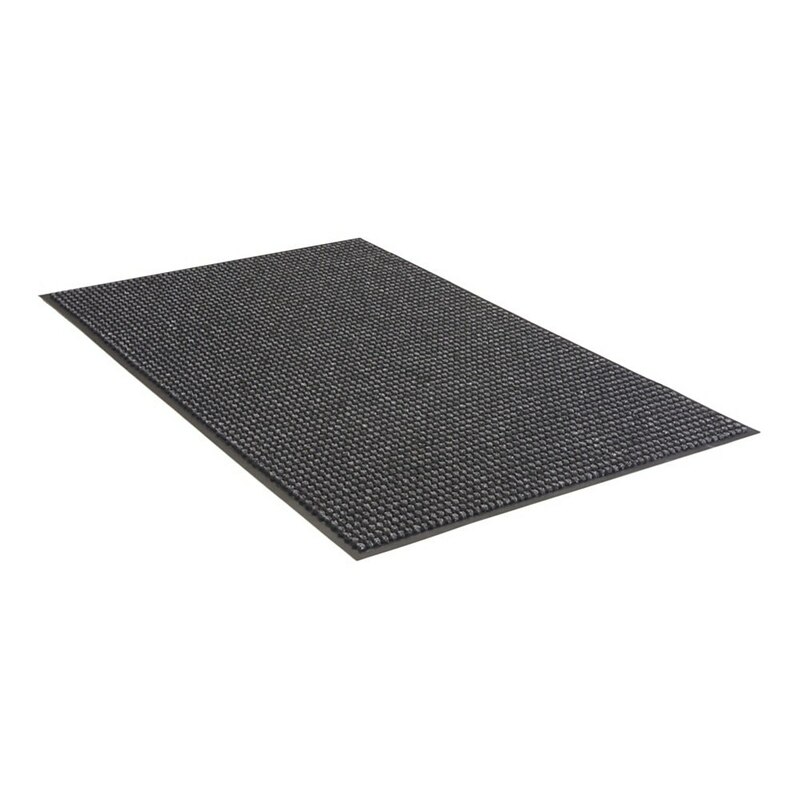 Crosshatch, part of our EcoMat line and one of our most popular mats, is available with an extremely rugged carpet surface for long-term wear. Both the surface and backing materials are made with recycled materials. 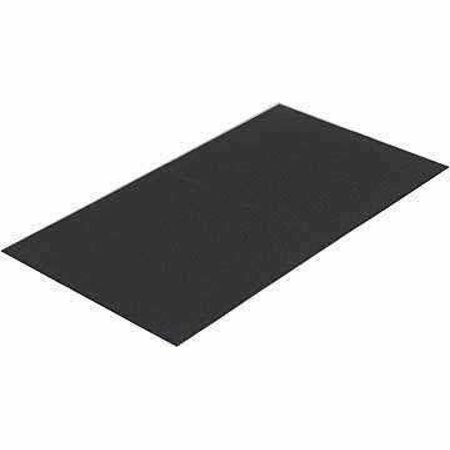 Low-wattage, very safe, rubberized floor mat heated for your comfort. 16" x 36" x .25"
• Gravel, Grating, Wood, High-Density Metals/Alloy's, Concrete, Asphalt. • 1" thick closed-cell Nitrile blend, resilient foam. • Compression Set 10% max. • Providing Knee Saver helps increase worker's productivity. • Lower's Workmans Compensation Claims. • Reduces knee pain & lower back stress. • Shows workers that YOUR COMPANY cares about them! • Ergonomic & Safety committee labor-relations bargaining tool. • Hangs up easy for storage or merchandising. • Designed and manufactured to accommodate the most demanding work environments. • Handles most common fluids and stays buoyant even at low temperatures. • Aggressive pebble-embossed surface enhances traction and durability. • Beveled edges reduce tripping. • Ergo-Flex™ comes with a 3 year limited warranty. • Acts as a shock-absorber for fallen tools. Work your body, not your floor! 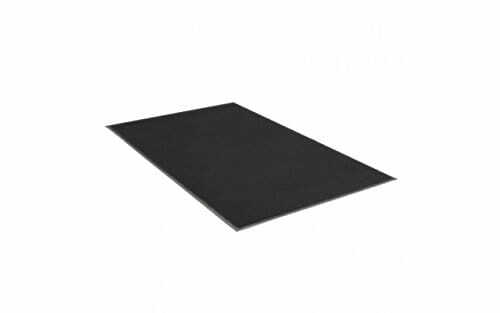 Sized to fit nicely under the base of your rowing machine, the BuyMats Rowing Machines Mat for Tile or Cement Floors is a quarter-inch thick and will protect your floor against scuffs and skids from even the heaviest rowing machine. 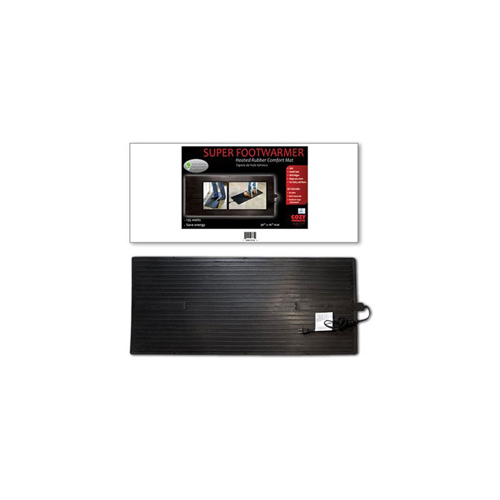 Does NOT fit the Concept 2 or LifeCore Rowers, for these rowing machines we recommend the Extra Long Rowing Machine Mat. • Heavy-duty 7/8'' thick rubber construction. • Thick rubber construction eases workers fatigue and increases productivity. • Drainage holes allow liquids and waste to pass through matting. • Great for dry, wet and greasy work environments. • Grease-proof Nitrile red recommended for areas using harsh industrial fluids and greases. Goods Of The Woods Canyon Rugs are super sized at 72"+36". 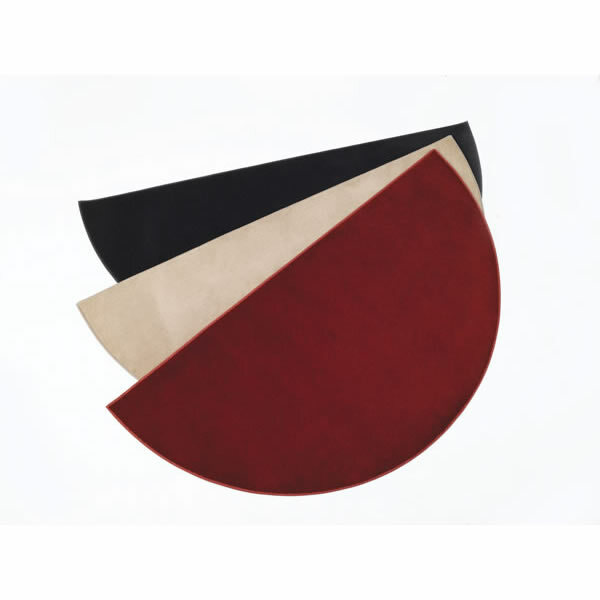 These half-round hearth rugs are made of synthetic fibers which perform similar to nylon but have slightly lower melt temperatures. 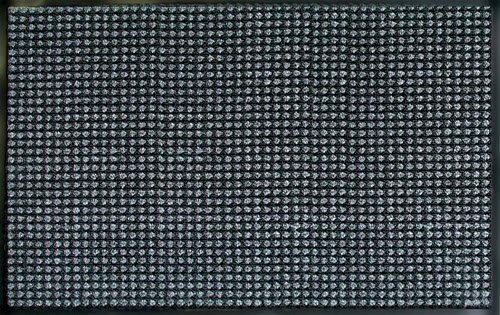 21-260-0900-30000400 Size: 3' x 4' x 3/8" Features: -1/4" is ideal for casual use and 3/8" is ideal for daily use.-Made of PVC vinyl foam.-Ideal for use with: Elliptical Machines, Bowflex Machines, Steppers, Treadmills, Stationary Bikes, Dumbbells, Free Weights and Aerobics!. Specifications: -This mat comes with 4 Beveled (sealed) borders. 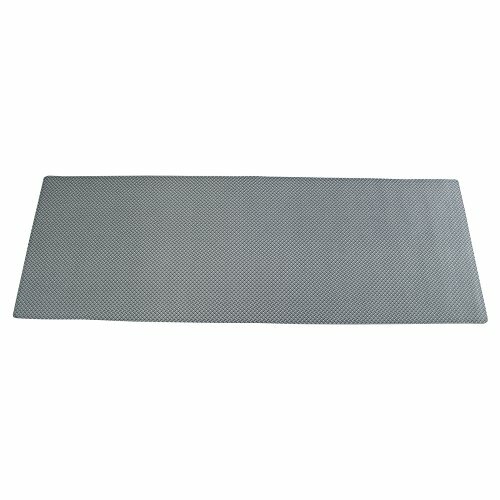 • Durable PVC Diamond surface NGB bonded to a 1/2" Ergo-Flex™ Foam. • Ergo-Flex™ enhanced foam provides increased durability and resiliency over other foam based products. • Limited 3-year guarantee against wear and delamination. 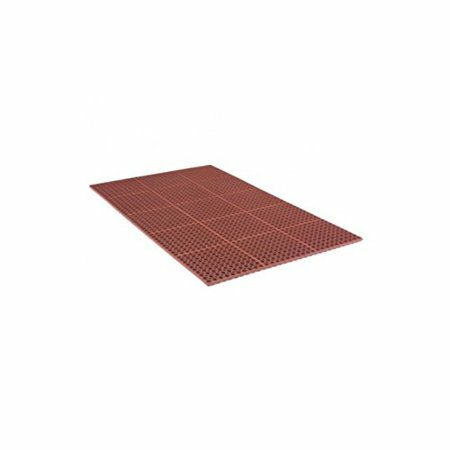 • Diamond plate pattern provides an abrasion and slip resistant wear surface. • Wear-surface will resist common fluids, most chemicals and is non-flammable. • Optional colored borders available.